Varna Free University “Chernorizets Hrabar” is the first and only university from Bulgaria who has been awarded in January 2012 with the “HR Excellence in Research”. Varna Free University is the best private university in Bulgaria, located in the Bulgarian maritime capital on the Black sea coast. Varna Free University (VFU) was established in 1991 with a resolution of the 37th National Assembly from 21 July 1995, the University was given the status of a higher educational institution. VFU is the first Bulgarian University awarded from the European Commission with Diploma Supplement (DS) Label and European Credit Transfer and Accumulation System (ECTS) Label as acknowledgment for its adoption of the Bologna process and of the university's proficiency in applying the European Credit Transfer System. The University is also awarded the “HR Excellence in Research” Logo for top achievements in the field of scientific research. The quality of education is certified also by the ISO 2001:1994, ISO 2001:2000, ISO 2001:2008 and by UKAS /UK/ and ANAB /USA/. Varna Free University cooperates with several international and European organizations in the field of education, such as: European Universities Association, Black Sea University Network. In the academic year of 2015/2016, VFU delivers a total of 21 Bachelor's degrees, 64 Master's degree courses and 23 Ph.D. programs in the field of social, economic, legal, security and humanitarian sciences. It is divided into three faculties (International Management and Economics, Architecture and Legal Studies). Main research areas in the field of Engineering and Technology Sciences are Materials Science (Ferrous and Non-ferrous Metals and Alloys, Concrete, etc. ), Energy Efficiency, Civil Engineering, Urban Planning and Preservation of Architectural Heritage as well. Functioning Technological Transfer Office at VFU is an inviting place for research in the above-mentioned fields. Faculty International Economics and Administration works has three professional areas: Computing and Computer Science, Economics, Administration and Political Sciences and work in in the following R&D areas: UI/UX, Software Development, Data Science, E-Government, e-business, smart systems for business process management, Modeling and decision making, and Smart Specialization. 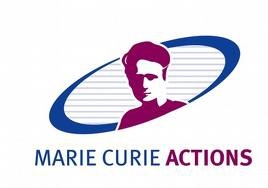 Expressions of interest are now invited from potential postdoctoral researchers to apply for a Marie Skłodowska-Curie Actions (MSCA) Individual Fellowship. Varna Free University “Chernorizets Hrabar” welcomes expressions of interest in any of the above research areas. Varna Free University “Chernorizets Hrabar” offers to postdoctoral researchers an internationally recognized and unique research environment. Candidates should hold a doctoral degree in Engineering and Technology, Informatics, Economics, Administration, Politic science or relevant to them discipline, obtained before the MSCA IF deadline of 29 July 2016. Candidates are required to read carefully the MSCA IF Guide for Applicants to ascertain eligibility, especially with regard to the mobility rules for each scheme. If you are interested in preparation of project proposal together with Varna Free University “Chernorizets Hrabar” in response to the H2020-MSCA-IF-2016 Call, please, contact the supervisor in your thematic field by submitting CV and a brief description of your research until 29 July 2016. We offer all kinds of IF. Expression of interest is not a promise of funding or position. Review of expressions of interest will begin after the deadline. Proposals will be evaluated based on research quality, the researcher's future career prospects and the availability of suitable supervision. The strongest proposals will be selected for continuation to the MSCA IF application (deadline 14 September 2016).